Are You Ready for the Sundance Film Festival? Signs of Sundance are springing up around Park City! Explore the 2017 festival program by clicking here. Posted in Miscellaneous, Local News, Lifestyle and Recreation, Sundance | 0 Responses to "Are You Ready for the Sundance Film Festival?" "Come for a visit, and you'll soak in enough magic to last all year long," wrote Suzy Strutner in The Huffington Post article announcing seven top reasons why Park City is America's Favorite Town. While the number one reason is the ski slopes, the second draw is the summer mountain lifestyle. We often hear that people come for the winters, but stay for the summers. Read the full Huffington Post article by clicking here. Posted in Miscellaneous, Local News, Lifestyle and Recreation, Sundance, Mountain conditions, Canyons | 0 Responses to "Top 7 Reasons Park City is America's Favorite Town"
Does Sundance have an impact on Utahs economy? You bet it does! A new study by the Kem C. Gardner Policy Institute at the University of Utah evaluated the economic statistics surrounding the Sundance Film Festival, which generated $143M this year. Attendance and the prices spent on food and beverages increased in 2016 compared to the previous year improving the estimated state and local tax revenue. While the study for lodging data will be revisited, festival goers have already begun to book lodging for 2017. Funds spent on rental cars shifted toward alternative transportation such as shuttle buses, ride-sharing services and Uber, all of which helped to alleviate parking concerns in town. The influx of national and international attendees benefited local businesses as well as the employees. For the full article, please visit here. Posted in Miscellaneous, Market News, Local News, Lifestyle and Recreation, Sundance | 0 Responses to "Does Sundance have an impact on Utahs economy? You bet it does!" In 2011, ten Sundance Films were nominated for Academy Awards including two for Best Motion Picture; Winters Bone and The Kids Are All Right. Yesterday, The Academy of Motion Picture Arts and Sciences announced nominees for the 2012 Academy Awards. Seven Sundance Institute supported films were nominated. Hell and Back Again, from Danfung Dennis and Mike Lerner, and If a Tree Falls: A Story of the Earth Liberation Front, from Marshall Curry and Sam Cullman, were nominated for best documentary feature. Hell won the grand jury prize for world cinema documentary at the 2011 Sundance fest, while Tree Falls took the documentary film editing award that year. The Barber of Birmingham: Foot Soldier of the Civil Rights Movement, from Robin Fryday and Gail Dolgin, and The Tsunami and the Cherry Blossom, from Lucy Walker and Kira Carstensen were nominated for best documentary short subject. Canada's Monsieur Lazhar, written and directed by Philippe Falardeau, was nominated for best foreign language film. A Morning Stroll, from Grant Orchard and Sue Goffe, was nominated for best animated short film. J.C. Chandor was nominated for best original screenplay for his Margin Call script. Posted in Lifestyle and Recreation, Sundance | 0 Responses to "Sundancing with Mary!" 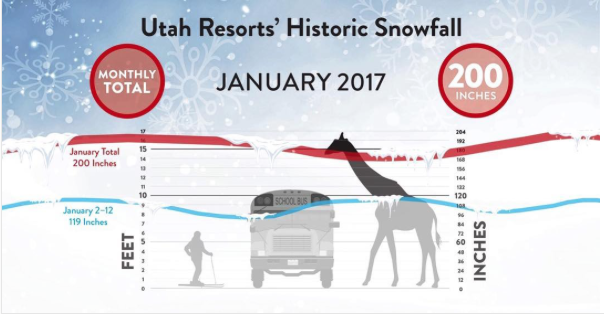 Posted in Local News, Sundance | 0 Responses to "Sundance Drives Tourism in the Utah"
The 2012 Sundance Film Festival starts today and runs through January 29th. The festival is one of the top three film festivals in the world and the premier independent film festival in the US. It is described as the event that defines the year in culture. Posted in Sundance | 0 Responses to "Sundance Is Here!"